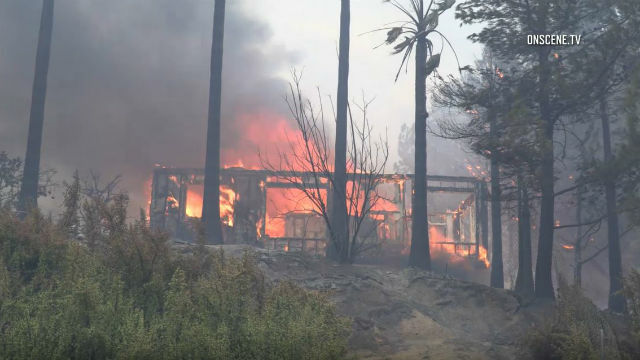 As conflagrations continue to ravage our state, and after much debate in the capital, now is the final chance for lawmakers in Sacramento to approve Senate Bill 901 — a package of much-needed wildfire prevention and financing reforms. The bill is compromise legislation which includes some important safeguards for California’s ratepayers and our business community. Last year’s wildfires devastated our state. I strongly support reforms that ensure victims are made whole and our utilities spend more on commonsense fire prevention. However, we should avoid unnecessary increases to electrical rates that could hurt residential customers and have a devastsying impact on California’s economy — particularly to our industrial and manufacturing sectors which consume huge amounts of power from our grid and depend on cheap electricity to remain viable. When the committee in charge of wildfire reforms released the final bill language this week, there were some concerns it would increase electricity rates. That’s not telling the full story. Perhaps the greatest risk to residential and commercial electricity rates is if this package does not pass before the legislative session ends this week. The frustrating truth is electricity bills in California are going to go up because of the 2017 wildfires. However, the key reason why this legislation is a victory for all ratepayers is a section of the bill that establishes a new way to finance some of the wildfire liabilities, known as securitization. Securitization would help ensure the wildfire costs passed onto residential and commercial customers are as small as possible. Under current law, when the utilities have acted prudently, the utility regulator will allow the companies to pass these liability costs onto ratepayers. However, given we’re talking about billions of dollars, the utilities are going to have to finance these payments and the cost of this financing will be part of the total bill passed onto ratepayers. Under SB 901, when the regulator determines that the utility has been “just and reasonable,” the associated liability costs will once again be passed onto California ratepayers in the form of higher electrical bills. However, securitization will allow these costs to be financed over an extended period of time. In other words, the cost of capital for the utilities will be less and, therefore, the bill passed onto ratepayers will be less. While some critics have labeled SB 901 as a “bailout” for the utilities, it’s important to note that the securitization option will only be available to the portion of wildfire liability where the utility was deemed not to be at fault. Where the utility was not prudent, they will have to pay. It’s critical for all stakeholders to appreciate that securitization is only lessening the cost of the portion of wildfire liability that’s going to be passed onto ratepayers anyway. SB 901 also includes an important backstop, a so-called “stress test,” to prevent the state regulator from forcing costs onto our utilities that would put them into bankruptcy. After all, if the utilities go bankrupt, it’s likely that whatever replaces them will require massive taxpayer bailouts and not result in lower rates for customers. Recall what happened in the aftermath of Pacific Gas & Electric’s last bankruptcy during the energy crisis in 2001. Rates went up for all PG&E’s customers — which hurt our low-income residents and our industrial customers, alike. Finally, a prominent environmental group in our state is supportive of securitization, because they understand if the utilities are bankrupted, it may risk the utilities’ commitments to producing cleaner energy. While SB 901 may not be perfect, it makes the best of the bad situation and reduces the long-term risk of rising utility rates. Lawrence Stirling is a retired Superior Court Judge, and former member of the State Senate, State Assembly, and San Diego City Council.